We at En-Net are very proud to announce that for the 2nd consecutive year, En-Net has been included on the CRN Fast Growth 150. Earlier this year, En-Net was recognized by CRN with inclusion on their Solution Provider 500 list. 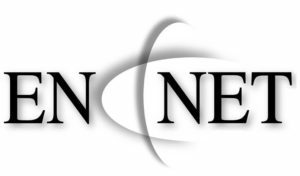 Frederick, MD, August 6, 2018 – En-Net Services, LLC (En-Net), a certified Maryland Small Business Reserve, announced today that CRN®, a brand of The Channel Company, has named En-Net to its 2018 Fast Growth 150 list. This is the second consecutive year that En-Net has made this list. The list is CRN’s annual ranking of North America-based technology integrators, solution providers and IT consultants that have experienced significant economic growth over the past two years. The 2018 list is based on gains in gross revenue between 2015 and 2017. The complete 2018 Fast Growth 150 list is featured in the August issue of CRN. En-Net has continued to leverage the momentum from the last several years and subsequently finished with record revenues in 2016 and 2017. Success is coming from multiple vectors including; growth from the NIH CIO-CS Government Wide Acquisition Contract (GWAC), a strong State/Local Government and Education (SLED) contract portfolio as well as productive e-Rate practice. Concurrently, the development of a new Cyber-Security practice, the expansion of our Data Center solution capability set and an extended STEM education portfolio, all have been significant factors in our growth and success. I would like to thank each of our partners and friends for the support and confidence invested into the En-Net relationship. Without this alliance we could not experience this success. If you have any questions please feel free to contact me directly at (301) 846-9901 or via email at efloyd@en-netservices.com. This entry was posted on Monday, August 6th, 2018 at 11:05 am. Both comments and pings are currently closed.